Many companies throughout the ages have branded their own terms for man made fibers used in sportswear and swimwear. One such company was Catalina. 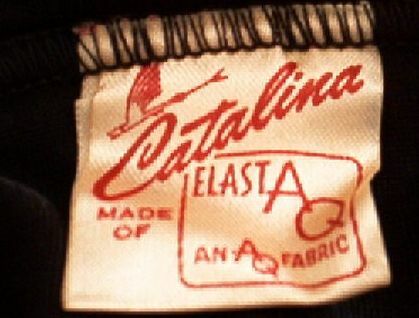 In 1946 Catalina launched 'ELASTAQ', an AQ fabric, yours for Carefree California Living. For action, trim sleek swimsuits. 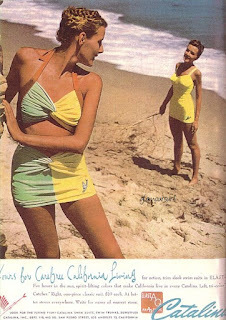 Love the two piece twist bust line and bottoms, and the color blocking. 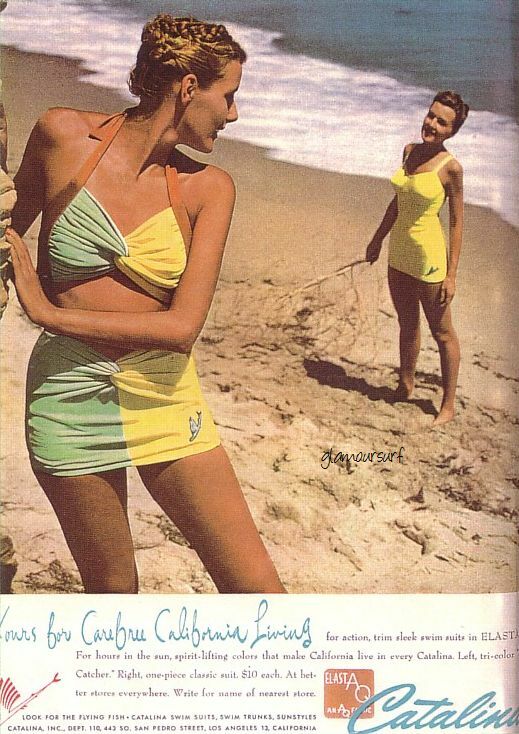 For more vintage swimwear label references, please visit our label page, where we provide images and dating for various swimwear manufacturers throughout the years.